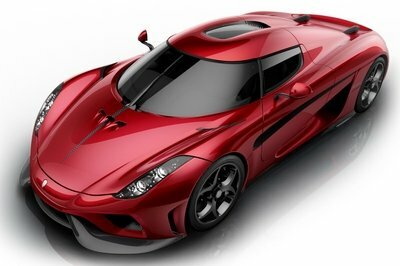 With previous Koenigsegg production models being an indication, the Regera pretty much looks like a restyled Agera, which itself is a restyled version of the CC8S/CCR/CCX and CCXR that went before it. That said, the new model sports enough design modifications to be worthy of the moniker and propulsion changes, even though most of its design features are nearly identical to its predecessors. The new model sports enough design modifications to be worthy of the moniker and propulsion changes, even though most of its design features are nearly identical to its predecessors. The front features a pair of new headlights, a much deeper aerodynamic front splitter for more downforce and less drag, and some differently shaped air intakes. 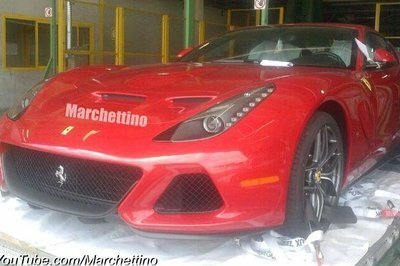 Three NACA-like air ducts have been fitted on the front hood, right under the windshield. 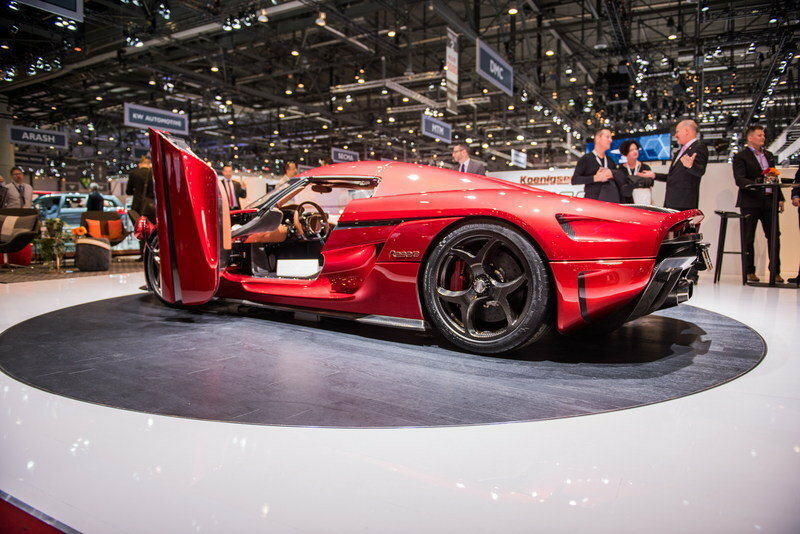 The side profile looks quasi-identical with other Koenigsegg models, with the trademarked "dihedral synchro-helix actuation" doors being retained as well. On the other hand, the rear is quite different than its predecessors, with a pair of restyled LED taillights accompanying a reshaped rear wing that is hydraulically actuated. 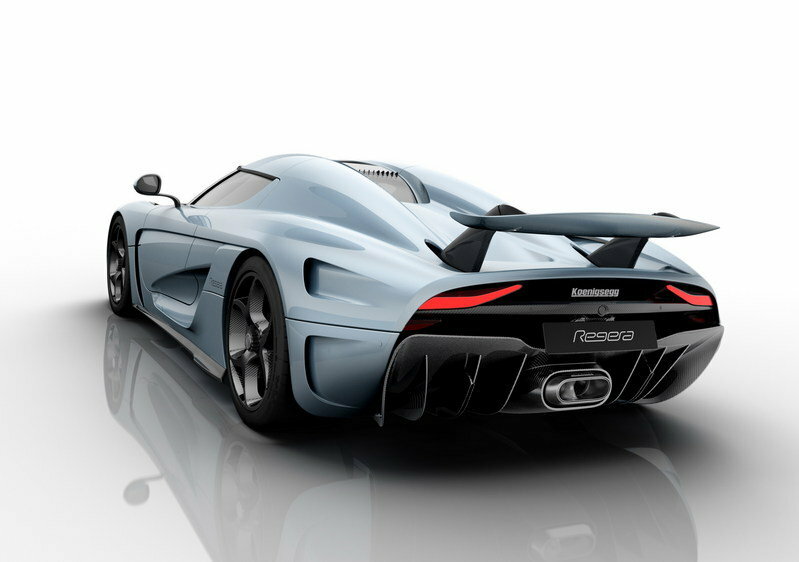 Another Koenigsegg trademark that hasn’t been retained is the single, oversized, central exhaust splitting the diffuser, since the Regera seems to feature two exhaust exits. A number of extra aerodynamic winglets and side splitters tested on the One:1 have found their way onto the Regera, along with a restyled version of Koenigsegg’s proprietary carbon-fiber wheels. Last, but certainly not least, the fuel filler cap is accompanied by an electric socket, while the side air intakes have been reshaped as well. The package is completed by new rear-view mirrors and a bunch of extra air intakes and outlets probably used to cool off the battery and electric motors. 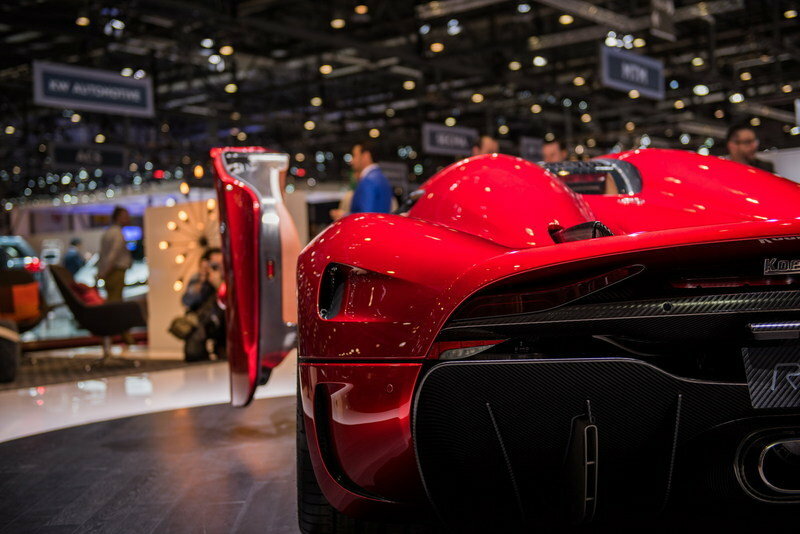 The Regera also features Koenigsegg’s Autoskin feature that allows the driver to open both doors, front hood, and rear hood remotely with the keyfob or from inside the car with the Autoskin buttons on the center console. And, in addition to the rear and side view cameras, an optional forward facing camera can also be installed, enabling the driver to have a birds-eye view of the car when parking or maneuvering in confined areas. As with some of the exterior details, I didn’t expect to find an all-new cockpit inside the Regera, but Koenigsegg surprised everyone by finally introducing a redesigned center console. Entry is still made via the cool doors, which the Swedish carmaker insists on calling by their official name on every occasion, while the seats and almost every touchable surface is engulfed in leather, Alcantara and carbon fiber. A few touches of machined aluminum on the new center console and air conditioning vents make for a classier atmosphere compared to other Koenigseggs, even though the flat-bottomed steering wheel and LCD-based instrument cluster look like the ones from the Agera, only with better clothing. Apple CarPlay comes standard with the Regera’s infotainment system, as does WiFi connectivity, eliminating the need to drag a USB cord along with you inside the car. Inductive charging also comes standard, so as long as you’re in the car, your phone won’t discharge. The heated seats feature electrical adjustment with memory functions for each driver. 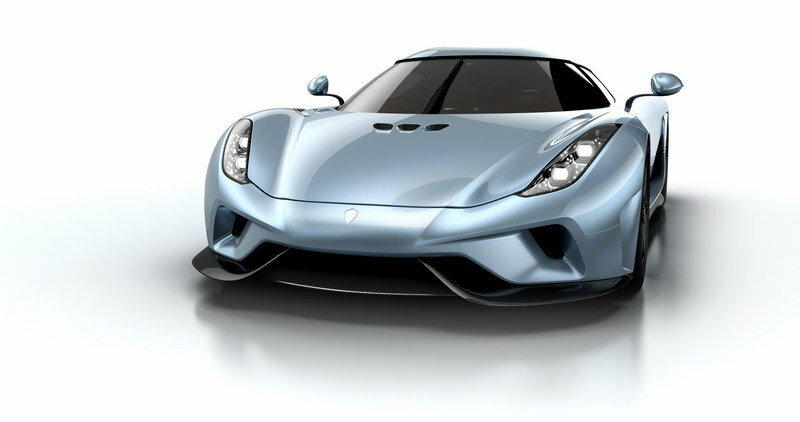 Taking everyone by surprise, Koenigsegg announced that the Regera will also feature "700 horsepower electrical motors and an impressive 800 volt., 4.5 kWh liquid cooled battery pack." In layman’s terms and knowing how powerful the One:1 is, the size of that battery and that huge amount of electric power tells us that the upcoming model is plug-in hybrid hypercar with a total output of over 1,341 horsepower. In other words, Koenigsegg finally beat Bugatti to the punch by being the first to launch the fastest and most-powerful hybrid hypercar (excuse me, "megacar") in the world. Koenigsegg finally beat Bugatti to the punch by being the first to launch the fastest and most-powerful hybrid hypercar (excuse me, "megacar") in the world. Having started as a supercharged Ford Modular V-8, Koenigsegg’s internal combustion engine has transformed over the years into a twin-turbocharged, 5.0-liter, V-8 that has been developed mostly in-house by Swedish engineers. 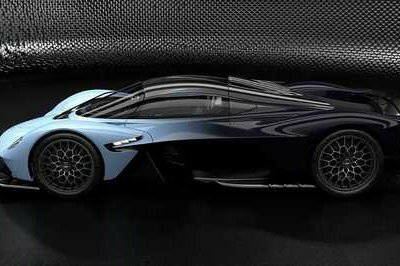 Every model from the Swedish carmaker has sported a version of this powerplant, and the Regera will also, only this time it will be augmented by three electric motors. Just like the Porsche 911 Turbo and some modern turbodiesels, Koenigsegg’s engine features variable-vane turbochargers, giving it more low-end torque and improved throttle response at lower revs, and economical cruise. Since it is paired with 700 horsepower-worth of electric motors, it doesn’t need to be as powerful as its predecessors, delivering "only" 1,100 horsepower and 922 pound-feet of torque on regular pump gas and a bit more than that on E85. On the electric propulsion front, the Regera has 700 horsepower and 664 pound-feet of torque, courtesy of three electric motors. That said, the total system output is of at least 1,500 horsepower and 1,475 pound-feet of torque, all of it being sent to the rear wheels through the so-called Koenigsegg Direct Drive, a patent-pending technology that replaces the car’s traditional gearbox with an electric motor, somewhat similar to the hybrid setup in the Toyota Prius. 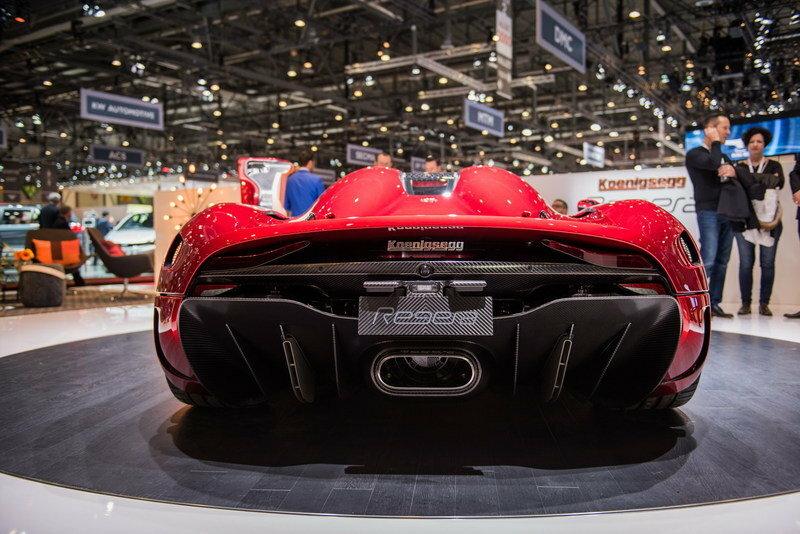 Unlike the Prius, the Regera also uses two extra electric motors – one for each rear wheel – both of them getting their juice from an 800 volt, 4.5 kWh, liquid cooled battery pack that can also be charged from the outside with a power cord. 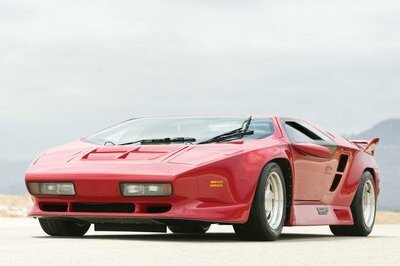 The hybrid setup translates into mind-blowing performance numbers, with 0 to 62 mph taking 2.8 seconds, 0 to 124 mph taking 6.6 seconds, and 0 to 186 mph taking 20 seconds. 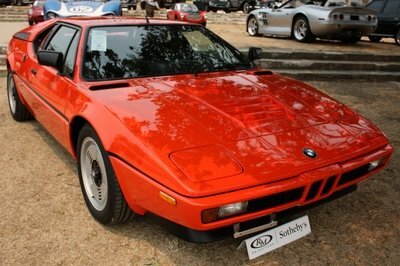 Furthermore, 93 to 155 mph acceleration takes only 3.9 seconds. Koenigsegg has yet to reveal pricing for the Regera, but an announcement posted by the company’s U.K. dealer on German car-buying site Mobile.de suggests the supercar will cost €2.1 million in Europe, which translates to around $2.37 million in the United States. This sticker would make it significantly more expensive than most of its competitors. While Horacio Pagani doesn’t necessarily see Koenigsegg as a direct competitor, the truth is that both the Huayra and the upcoming Regera will be marketed to similar types of customers. 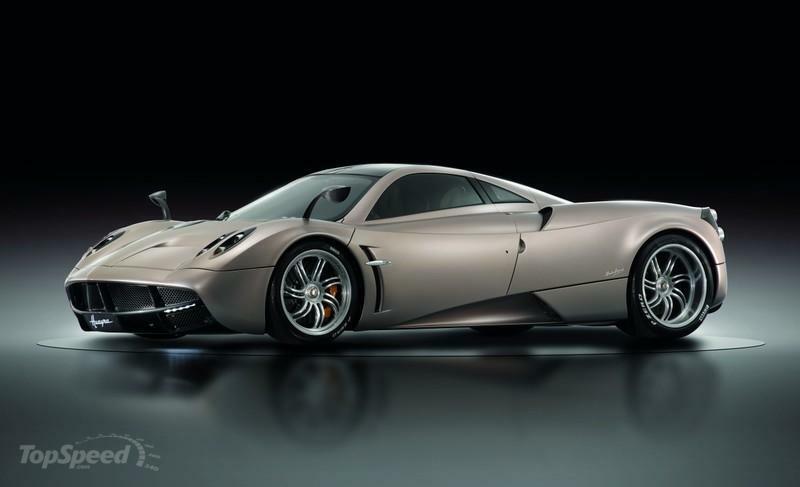 Sporting active aerodynamics, more traditional gull-wing doors and a body constructed from aerospace-grade carbon fiber and titanium, the Huayra is truly a 21st century successor to the gorgeous Zonda. Named after the Inca Empire’s god of winds, the latest Pagani is from most points of view a four-wheeled work of art, with technology and soul being mixed to create a masterpiece. The Huayra is powered by a bespoke, twin-turbocharged, Mercedes-AMG V-12 that is hand built by a single engineer in Affalterbach, where almost all other AMG engines are born. With 720 horsepower and 738 pound-feet of torque on tap from the 6.0-liter powerplant, the model can accelerate from naught to 60 mph in a little over three seconds, making it slightly slower than all current Koenigsegg models, including the much more powerful Regera. 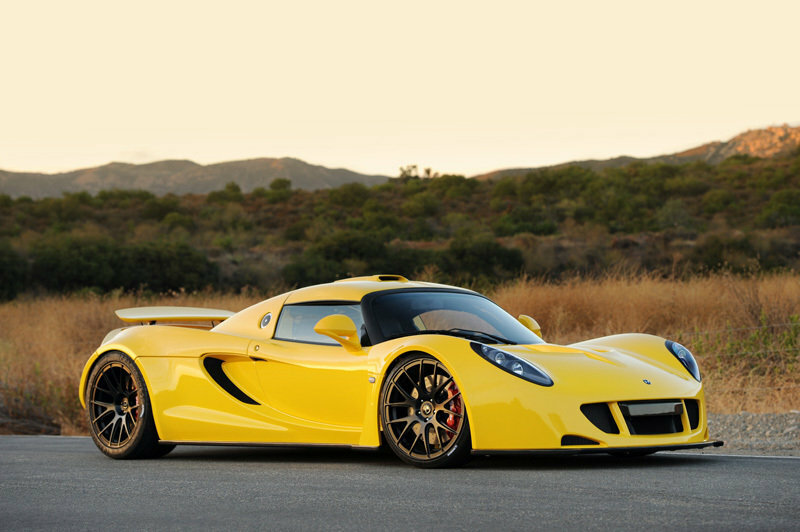 Based largely on the Lotus Exige, the Hennessey Venom GT is the most powerful production supercar to ever come out of the United States. Its 7.0-liter, LSX V-8 has been twin-turbocharged to develop 1,244 horsepower and a tire-shredding 1,155 pound-feet of torque, which the car then sends to the rear wheels via a six-speed manual transmission from Ricardo. The Venom GT is not all show and no go though, since the model established a Guinness World Record for the fastest production car from 0-186 mph back in 2013. An unofficial record for the 0-200 mph run was also broken, which is somewhat ironic since it had been previously held by the Koenigsegg Agera R. Thanks to its enormous power output, the Regera shouldn’t have a tough time taking back those records, but keep in mind that Hennessey is currently working on a more powerful successor for the Venom GT, called Venom F5. However powerful and good-looking the Koenigsegg Regera ended up being, the model arrives in a severely distorted marketplace for hypercars. I say this because Koenigsegg is no longer battling just Bugatti for the world’s fastest car title, but it also needs to cater to the tastes of customers who ended up buying eco-hypercars like the McLaren P1, Porsche 918 Spyder or the Ferrari LaFerrari. A first good step is probably the model’s name, since it manages to sound both cool and descriptive, especially if you know your Swedish. In a surprising turn of events, the Regera not only sports a plug-in hybrid powertrain, but the overall output is over 50 percent higher than the aforementioned eco-hypercar trio. With Bugatti already announcing that the Veyron successor will have a hybrid powertrain, it looks like the Koenigsegg is actually the first one to bring such a hybrid monster to the market. I’ll reserve further opinions on the matter for when we see both models going head-to-head, but from where I’m standing it looks like Bugatti should be pretty worried. Can you imagine going from 83 mph to 155 mpg in a tad over three seconds in something other than a Top Fuel dragster? 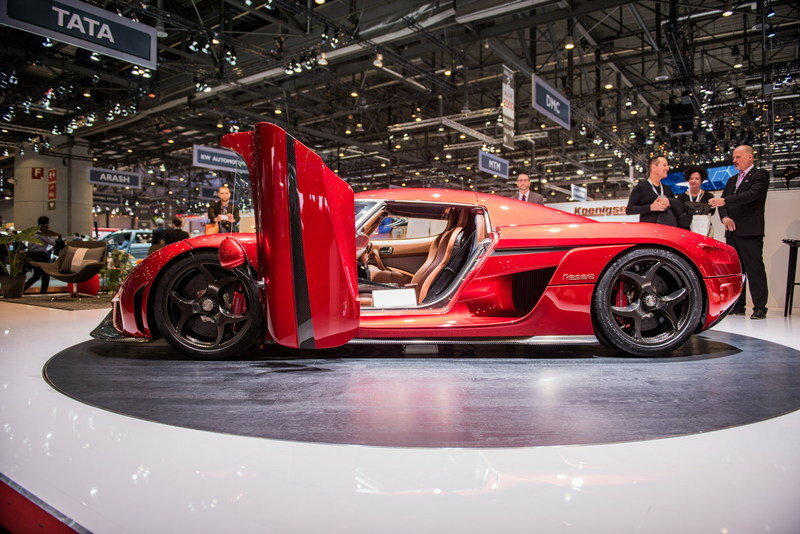 Updated 06/11/2015: A sales ad on German website mobile.de lists the Koenigsegg Regera at €2.1 million. Find out more about it below. 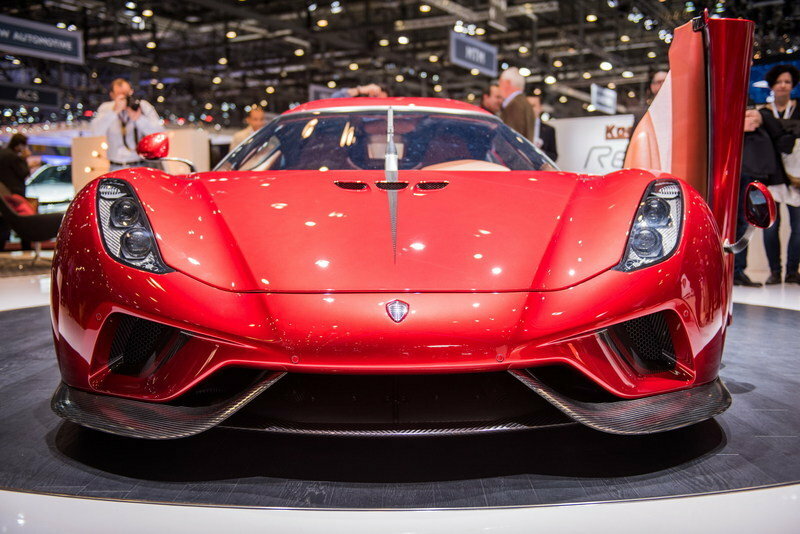 Updated 03/03/2015: Koenigsegg unveiled the all-new Regera at the 2015 Geneva Motor Show. Components that all other manufacturers buy in such as, wheels, brake calipers, engine and transmission management systems are all designed, engineered and built in-house Koenigsegg. 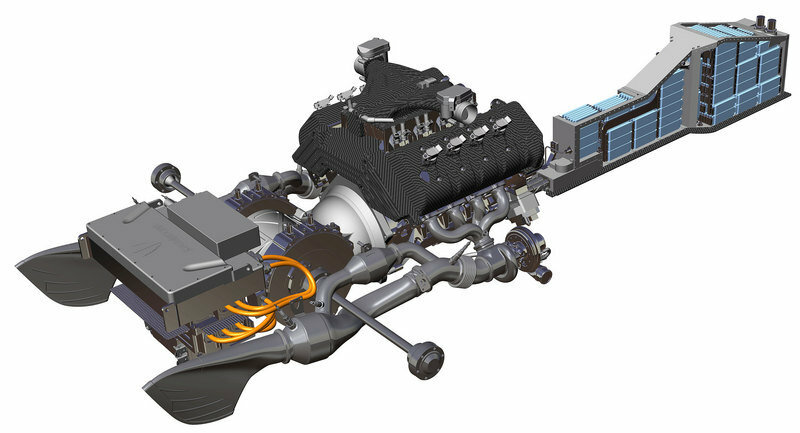 Similarly, the entire mechanical drivetrain from combustion engine to DirectDrive unit, is all created by Koenigsegg. The benefit of working this way is that critical systems get seamlessly integrated and continuously optimized over time, to levels otherwise unobtainable. 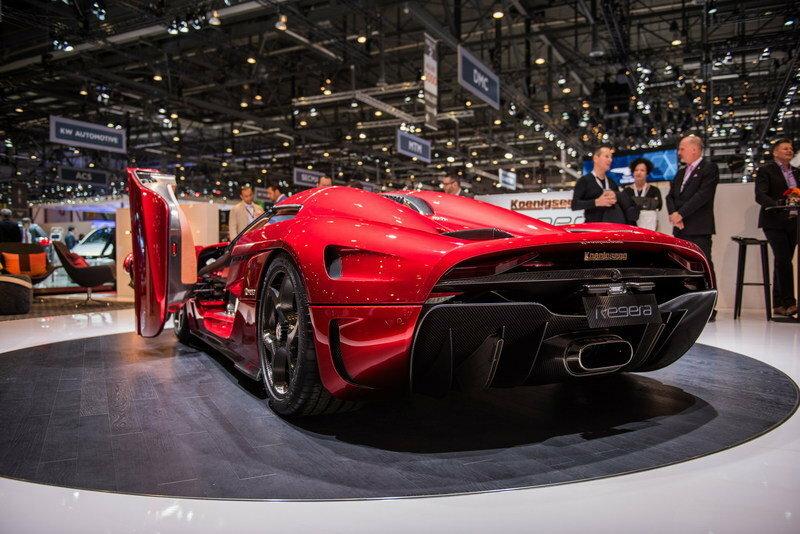 A shining example of the above is that the hydraulic coupling used in the Regera was designed and developed completely in-house. The “HydraCoup” can provide slip with very limited heat build-up while maximizing torque conversion and lock-up functionality. It is light, strong and efficient, weighing no more than the lightweight dry clutch in the Agera. It also looks like a piece of artisan jewellery. The only way to reach the goals of low weight and maximum torque transfer was to do it in-house as nothing available in the market place came close to the required specification.